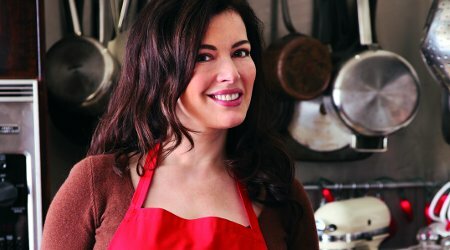 As Nigella says, her new book is, “simply the story of my love affair with the kitchen”. In a return to the style of her now classic How to Eat, the kitchen goddess has come up with more recipes to either delight, inspire or simply to soothe us – whatever the occasion and whatever the time we have available. A well-used kitchen is the heart of a happy home, and although she accepts that sometimes modern life requires modern solutions, the quality, taste – and the fun – of cooking need never be compromised. We’re greatly looking forward to using some of her recipes from Kitchen for the lunch. Do join us!